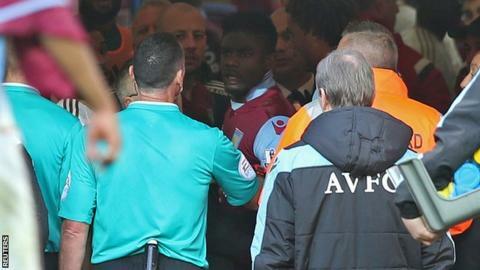 Aston Villa defender Micah Richards has been charged with improper conduct after an incident in the tunnel at the end of Saturday's game with Swansea. The tunnel was seen to be shaking as stewards rushed to calm tensions after the Swans' 2-1 Premier League win. The 27-year-old has until 18:00 GMT on Thursday to reply. However, no action will be taken over a clash between Richards and Federico Fernandez. The incident, which happened during the game, was missed by the match officials but captured on video and referred to the three-strong former elite referee panel. It was Villa's sixth straight league defeat and was followed by the sacking of manager Tim Sherwood on Sunday.